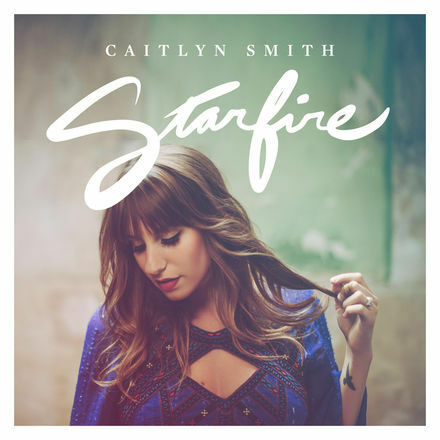 Released a little over two months ago on July 8th, Starfire is the new release from Nashville based singer-songwriter Caitlyn Smith. A taste of what is to come from Caitlyn's full-length album release early next year, Starfire holds five original tracks from a talented song-writer who has written hits for Garth Brooks and Dolly Parton amongst others. Perhaps the most immediately recognisable track is Caitlyn's version of Tacoma (previously released as part of Garth Brooks' Man Against Machine). Pouring a distinctly soulful vocal into the track, Caitlyn makes the most of her distinct tone and delivers a power that immediately makes you sit up and take notice. With it's loose waltz timing, Tacoma drifts along on a perfectly pitched cloud of instrumentalisation that allows Caitlyn's smooth vocal to sit comfortably at the forefront of the track. The EP's title track shows another side to Caitlyn's 'sound' with it's relatively rocky production. Grounded by the empowering lyric of "you can't burn out this starfire", Starfire's punchy sound is a strong edition to the EP, with the track's electric guitar hook and solid drum line forming a good base and giving a beat that makes you immediately want to tap your feet along. The really outstanding moment here comes courtesy of final track This Town Is Killing Me. The delicacy of the track as a whole really allows Caitlyn's heartfelt, almost vulnerable vocal to shine throughout what is an incredibly special emotional moment in the EP. Lyrics such as "they buried my granddad without me, 'cause I was out on the road at some one off show in Tupelo and I can't take that one back" really hit home in their rawness, without doubt a stunning song that sees Caitlyn at her absolute best. A profoundly impressive talent, you can read my previous features on Caitlyn and her music with an interview here and a review of her previous EP Everything To You here. Starfire is certainly a very strong release from an artist who remains one of my favourite female vocalists and leaves the listener with high expectations as to what we can expect from Caitlyn's full-length album release. An EP that deserves to be embraced, huge congratulations to Caitlyn on what she has created here!